Let a new work week begin!! Okay, so it's Monday and if we're being honest, I'm less than thrilled that the weekend is over and we have five more days till the next one. But, one thing that makes going back to work a little easier is picking out fun outfits for the week. My office is pretty business professional, but that doesn't mean I have to wear a boring suit. I like to have fun when it comes to my work wardrobe. Of course, in an appropriate way. 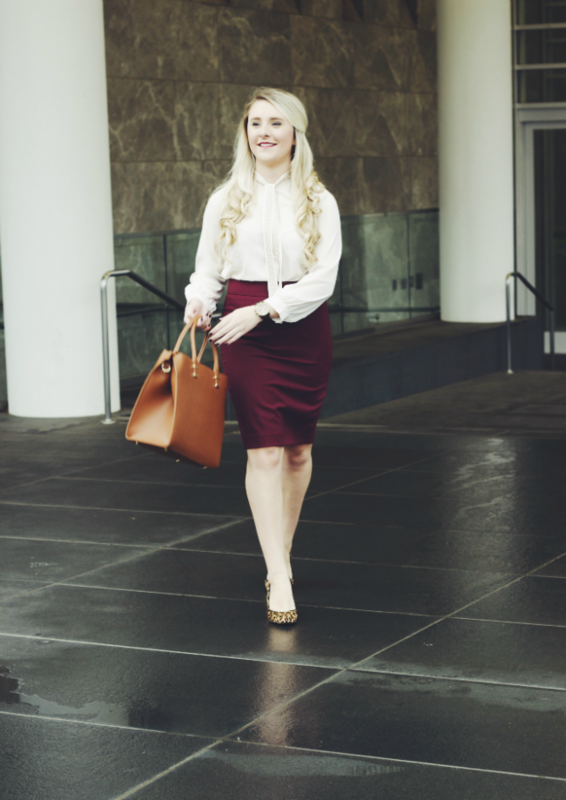 I usually keep one business type element, like this Ann Taylor Pencil Skirt (50% off today! ), and then mix with a statement piece or two. The saying goes, "if you look good, you'll feel good." And let me just say, I need all the good feeling I can get on a Monday. Oh, and if you haven't already, I'd love it if you'd take my reader survey! I want to know what you love about reading Primp & Proper, what you'd want to see changed, and any ideas you have for post topics. Share your thoughts and suggestions, here. 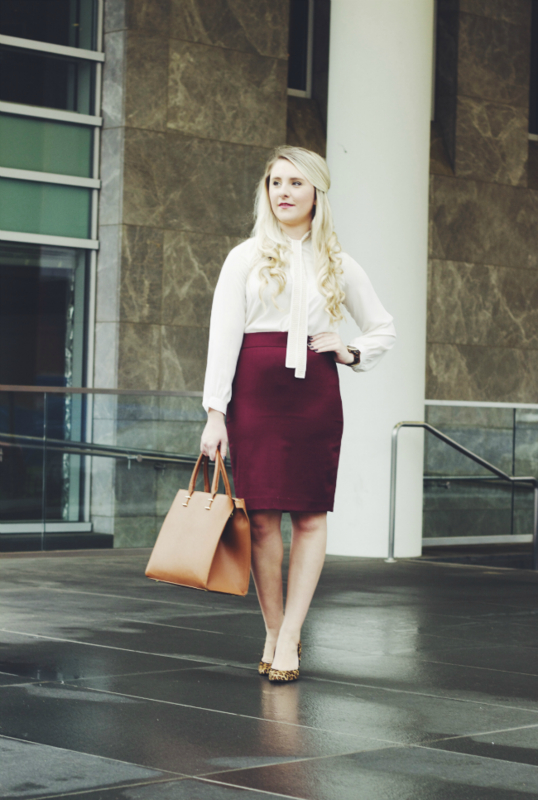 This look is the perfect work wear look! I especially love the pop of leopard in the heels! I totally second every bit of what Ellen said! Thanks Ellen!! 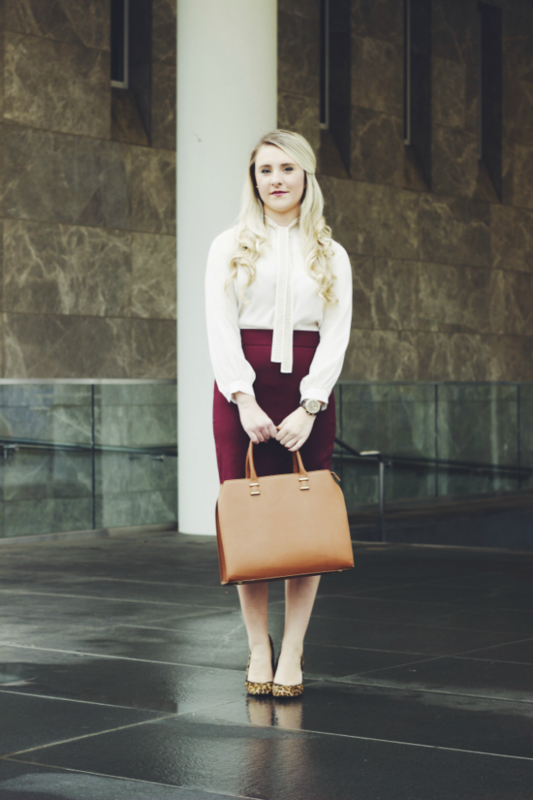 I always love adding a statement piece, like the shoes, to an outfit!! No, Jonas is not the fourth brother!